Previewed at CES earlier in 2016, ADATA has finally officially announced the launch of their latest DDR4 module kit equipped with LED lighting. 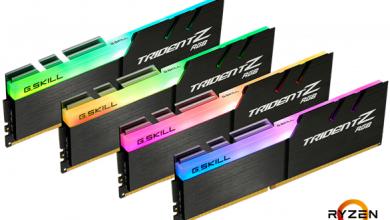 The XPG Dazzle DDR4 is available in dual-channel and quad-channel configurations with 8GB or 16GB per module (8GB to 64GB per kit). 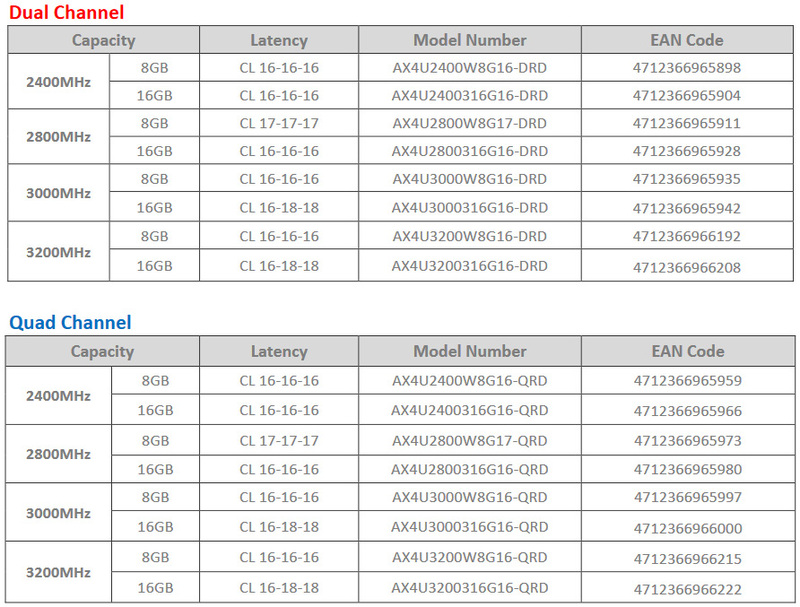 Speeds available range from 2400MHz through 3200MHz with CL16 and CL17 timings. Each module measures 13 8.98 x 4 7.37 x 7. 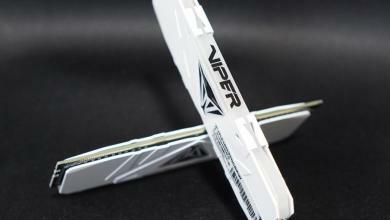 6 mm and uses a black PCB so that LED lighting stands out even more. 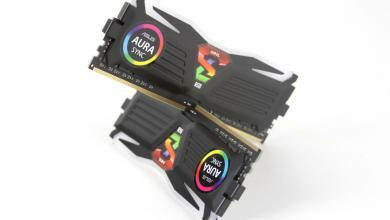 ADATA uses Avexir’s patented memory LED technology to achieve the desired effect. Taipei, Taiwan – May, 2016 – ADATA® Technology, a leading manufacturer of high performance DRAM modules and NAND Flash products, today launched XPG Dazzle, its first line of LED DDR4 memory modules. 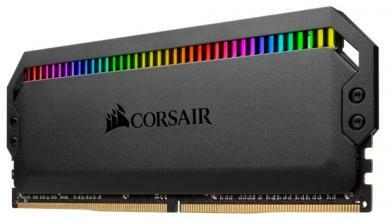 The modules feature illuminated LED strips and DDR4 specifications for an exciting look that complements their high performance and power efficiency. 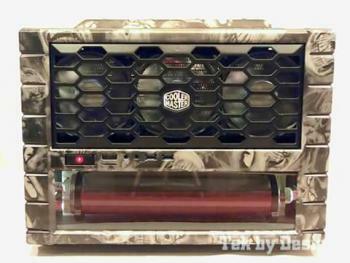 Utilizing patented LED memory module technology by AVEXIR, XPG Dazzle makes PCs much more eye-catching to meet growing demand by case modders, PC enthusiasts, and gamers for unique, colorful, and vibrant system builds. 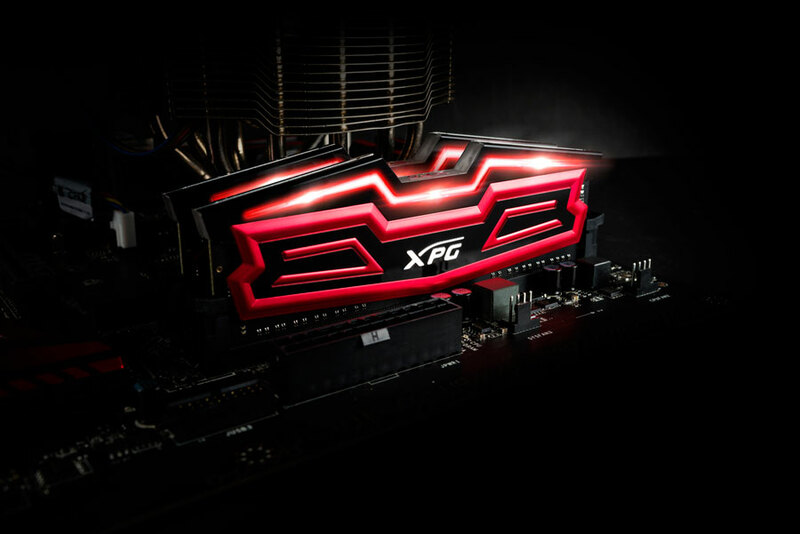 XPG Dazzle LED DDR4 memory modules maintain and evolve the aggressive but sleek style of XPG products, featuring a tough outline, cool color combinations, and their own unique highlight in the form of a shining LED strip built into the heatsink. With a special design and alluring red LED, XPG Dazzle accentuates chassis appearance and revitalizes performance PCs, whether for overclocking, gaming, or pure case modding showcases. XPG Dazzle memory modules are available in different kits: 8GBx2, 8GBx4, 16GBx2, and 16GBx4, giving users greater flexibility when assembling high-end systems. 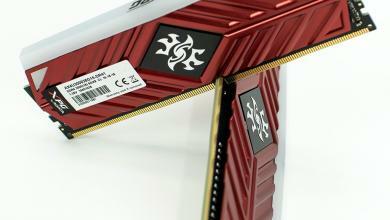 DDR4 outpaces previously-dominant DDR3 with improved performance and lower power consumption. Operating voltage has decreased from 1.5V to 1.2V, representing a 20% reduction in draw to keep systems cooler and promote more stable operation even during intense tasks such as extreme, high speed overclocking and gaming. In addition, Intel XMP 2.0 implementation allows overclocking and tuning from the OS without BIOS changes, facilitating easier usage and enhanced system stability. Cooling remains a top priority for power users, and so XPG Dazzle uses unique Thermal Conductive Technology to improve heat dissipation towards stable operation. Modules feature 10-layer PCBs to improve signal transfer quality and further improve overall system reliability. XPG Dazzle LED DDR4 memory modules are assembled using high-grade chips selected through a strict filtering process. They use finest-quality PCBs and pass rigorous reliability and compatibility tests that exceed those passed by mainstream memory modules to ensure top-notch longevity and durability. Like all ADATA memory modules, XPG Dazzle provides customers a lifetime warranty backed by excellent service for maximum peace of mind. 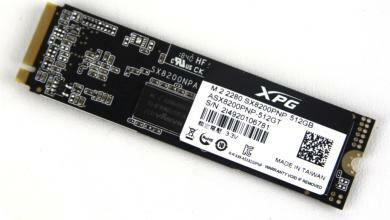 Xtreme Performance Gear (XPG) is an ADATA Technology brand offering high performance PC hardware. XPG products distinguish themselves by surpassing already stringent ADATA A+ Testing Methodology, which ensures the highest standards for superior product stability and ultra-high performance. XPG provides gamers, enthusiasts, and overclockers with an extraordinary journey best experienced at full tilt. The XPG line sports advanced technical attributes and its strength shines through with sleek and powerful designs that have earned prestigious accolades worldwide. These include Good Design Awards from Japan and Taiwan Excellence Gold Awards. ADATA XPG products are recognized by overclockers and world-renowned professional gaming teams who use them as essential hardware for achieving victory. For more information, please visit www.adata.com/en/xpg/.